Montréal (Québec), June 27, 2012.- Reigning Canadian and North American Rally Champions, Quebec driver Antoine L’Estage (of St-Jean-sur-Richelieu) and his co-driver Nathalie Richard (of Halifax, NS) are eyeing another victory at this weekend’s Rallye de la Baie-des-Chaleurs, in Gaspésie. The Rockstar Energy Drink duo is anticipating this third round of the 2012 season with enthusiasm as it attempts to win for a third time in as many outings in the Canadian Rally Championship. "For sure we’re going for the win at the Rallye Baie-des-Chaleurs! It’s an event that we’ve won many times, including last year, and we’re heading into the event as the series leaders. It’s maybe a little early in the season to simply manage our lead in the championship standings but we’ll soon have to start thinking about it – our goal every year is to win the title and sometimes that means being smart about things" shares Antoine L'Estage. Known as much for its popularity as it is for its challenges, the Rallye Baie-des-Chaleurs is a unique event in the North American rally scene. For the Rockstar Energy Drink driver, showing up to the start of this rally is always exciting "it’s an extraordinary rally with amazing fans and with its fantastic roads, it’s one of my favourite events of the year » confides the champion who, along with his entire team, is well prepared to face this rally’s challenges head on, regardless of the weather conditions, we wish for sun for the thousands of spectators that will be cheering on the competitors, but I’m not at all worried if it rains. Actually, when it rains in that area, the surface turns into very slippery mud and it’s important to make sure we have the correct tires. 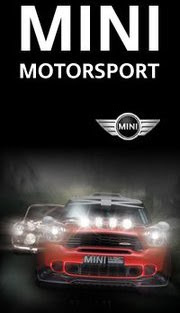 With our Yokohama tires, we’ve definitely got what it takes" he specifies. Winners of the first two rounds of the 2012 Canadian Rally Championship, Antoine L’Estage and Nathalie Richard are also leaders of the North American Rally Cup, thanks in part to their victory in Pennsylvania earlier this month. 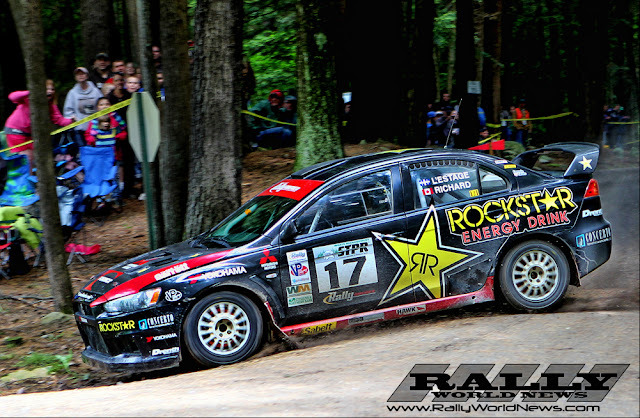 "Our Rockstar Energy Drink Mitsubishi won two rallies in two consecutive weekends. Our goal is to keep the ball rolling with another win in the Baie-des-Chaleurs!" concludes Nathalie Richard.